This giant oak likely was present when Jonesborough, the oldest town in Tennessee, was formed in 1779. The first written evidence of the tree is found in an 1884 land deed for Washington County where it is mentioned as a boundary tree. The giant oak is currently listed as the state co-champion white oak with a circumference exceeding 22 feet, a height over 112 feet, and a crown spread of an impressive 129 feet. The tree has been mentioned in numerous newspaper articles through the years and was the focus of a 1970 poem by the Reverend T.O. Willis of the Jonesborough United Methodist Church. 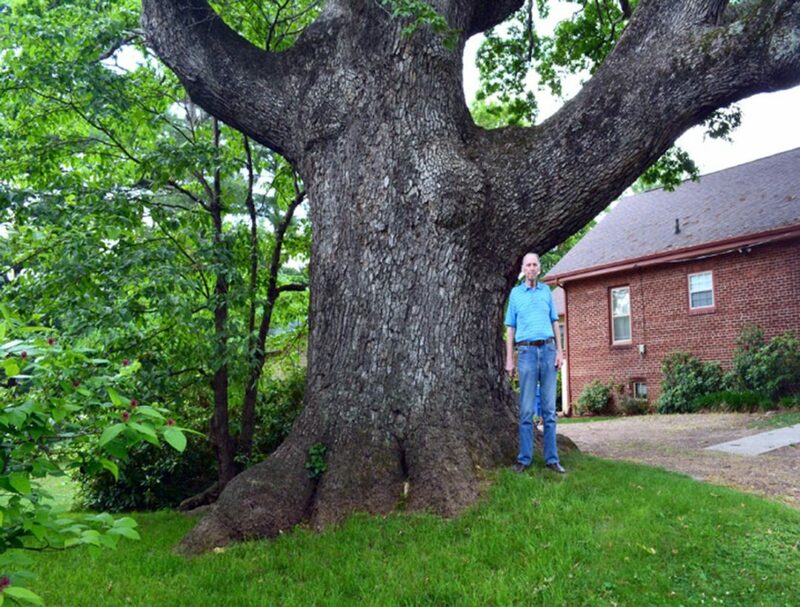 In 2002 the Town of Jonesborough officially declared the old white oak a Heritage Tree, affording it protection under city law.